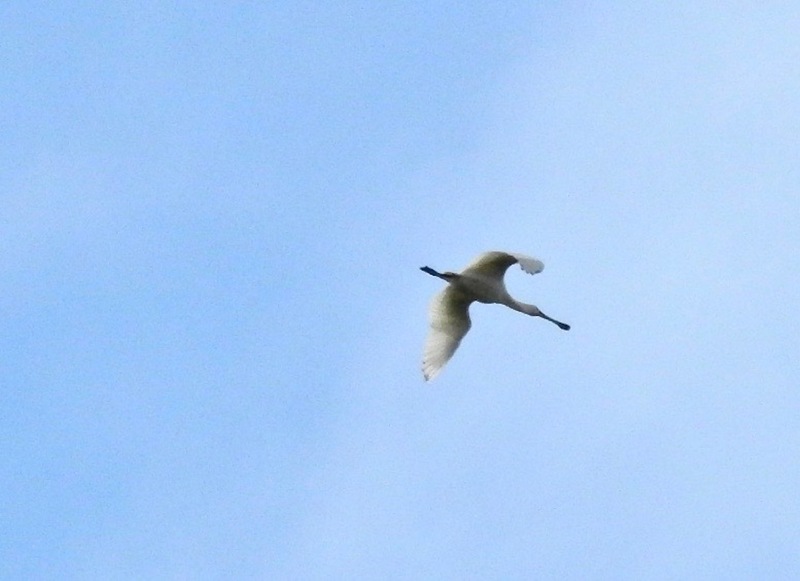 A S/SWly picked up, but it was a bitterly cold one this morning at Marshside and saw the Spoonbill clearing off to the south and gaining height, after it had dropped down briefly in the wind-chilled waters of Marshside One. Black tips to the primaries noticeable as it passed over us. A Common Tern was being chased by gulls inbetween picking items off the surface like an Arctic. Earlier a walk down the public footpath through the golf course between Hesketh Rd and Marshside Rd revealed no new arrivals, but the Ring Necked Parakeet was still squawking about, and Blackcaps, Chiffies, Goldcrest and Willow Warblers were singing. A single Tree Pipit went north and small numbers of Redpoll and Siskin were on the move. 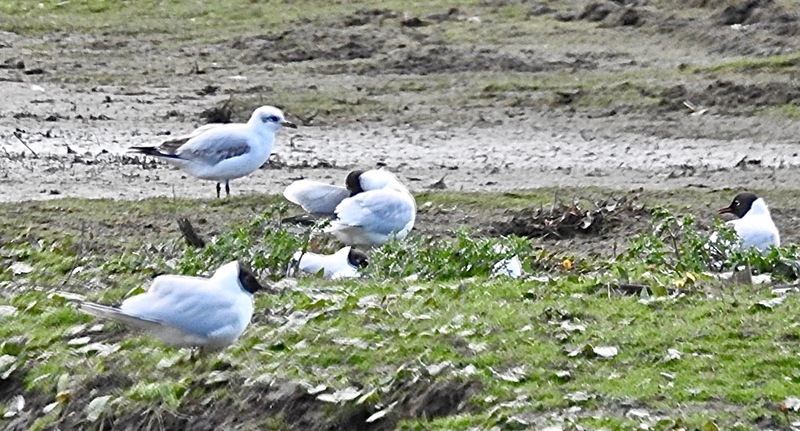 Meeting up with Neill, Bazzo and Andy Pryce, we checked the Sandplant (Willow Warbler, Chiffchaff, White Wag) and popped into Sandgrounders for minimal Med Gull action. Up at Crossens Outer, two Barnacle Geese were with the Pinks still, but the lion’s share of the geeses were further up on Banks Marsh and so well out of range. Can’t believe it just seen a Hoopoe by one of the slacks at Hightown this morning at 8.30 am flew off west towards the sea. Saw Dave Hardaker and some other birders just after I spotted it and they confirmed they had seen it too. Hopefully some of the guys with cameras will get some pics of it if it stays around. Garden Warbler and Gropper at Marshside from the public footpath through the golf course between Hesketh Rd and Marshside Rd, this morning.